Education Game News. Thracian Treasure. P42 Release date 11.04.2016 year. Tresure Hunting - educational tools, about items from the Thracian Treasure. 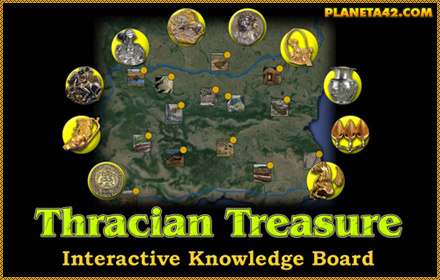 "Thracian Treasure" is a small hidden objects game to excavate an ancient treasure. New free online flash game.